Jeff's Bronco Graveyard, a.k.a. "The Graveyard," has been in business since 1985. 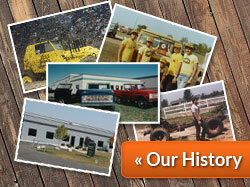 During that time we have become the largest seller of classic Bronco parts and accessories in the country. We attribute our growth to a commitment to price, quality and service. We offer the best prices and to minimize your down time, we offer quick turnaround time on shipments. To improve the ability of The Graveyard to serve your needs with quality parts with most orders shipped the same or next day, we have recently added on to our facility. This 30,000 square foot facility is packed with Bronco parts ready to be sent around the country and throughout the world to Bronco enthusiasts everywhere. To give you a better idea of what The Graveyard is all about, we have put together a little tour of our facility. 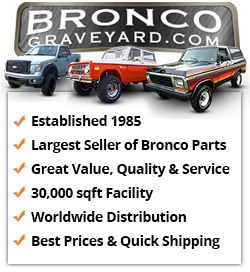 You can see for yourself why we are the largest seller of classic Bronco parts with the quickest shipping in the industry. 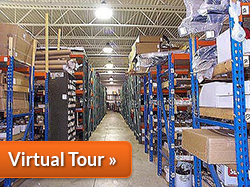 Looking to pick up parts or just stop by to visit our facility? Our physical address is 7843 Lochlin dr. Brighton, Michigan 48116 and yes we do have an open storefront. For easy to use directions, and for help locating our facility then this is how you get here! If you are interested to find out more about how our company got its start then make sure to check out our history page. Here you can see pictures of our humble beginnings and also view some of the things we have been involved in previously. If you like Broncos and classic Fords (and we know you do), then why not check out our collection. 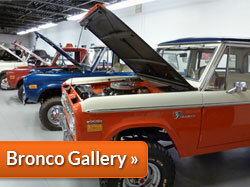 You can also view all of Jeff’s personal Bronco collection at our facility in our museum. If you are in the area then stop on by and check them out! The museum is always open when we are! 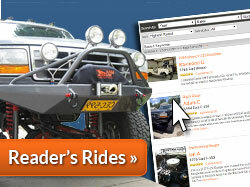 Be sure to check out our Reader’s Rides page and our Classifieds section to see what customers like you have added to our website!